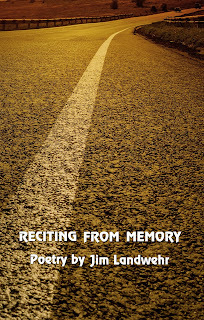 About a week ago, my second poetry collection, Reciting From Memory, was released. I wanted to spend a post telling people a bit about it, and this is that post. While I always claim to be a nonfiction writer first, and a poet second, I still say that practicing poetry makes me a better writer. Most of my poems are like tiny little stories with a beginning, middle and end. I use analogy and metaphor just as I do in my nonfiction writing. Poetry is where I turn when I'm either pinched for time, or suffering from block. It challenges me every bit as much as nonfiction writing, just in smaller increments. My style is concrete, relate-able and down to earth. I call it poetry for the working man/woman. Over time I accumulated these forty poems and rather than trying to submit them to various magazines and journals, I thought I'd put together a collection and see if there was a publisher that would take them for publication. I looked at publishers that were looking at both print and eBook submittals. While I would have loved to have this come out as a print book, I figured it would be really cool in either format. I felt strongly that these were some very good poems, some of my better work, so wanted to get them into a publisher's hands. So, I submitted them to three or four publishers. I got one flat out rejection, another that said they like my work and were interested, but to try back in three months. Then I heard from Underground Voices. They too said they liked the work, but were eBook only and thought I wanted only print. I wrote back and told them eBook was perfect and that I'd love to work with them. They wrote back and sent a contract, and the rest is history. They did swap out one rhyming poem that wasn't my best (Improperly Vetted) for another much better one that I sent in it's place (Night Shift). After that it was just a matter of getting some beta reader reviews (on the Amazon site), rounding up the dedication and acknowledgements. When the cover came out I was ecstatic with it. I said I'd wanted it to have something to do with travel and as you can see, it was just that. I loved it. After one font change, it was perfect. 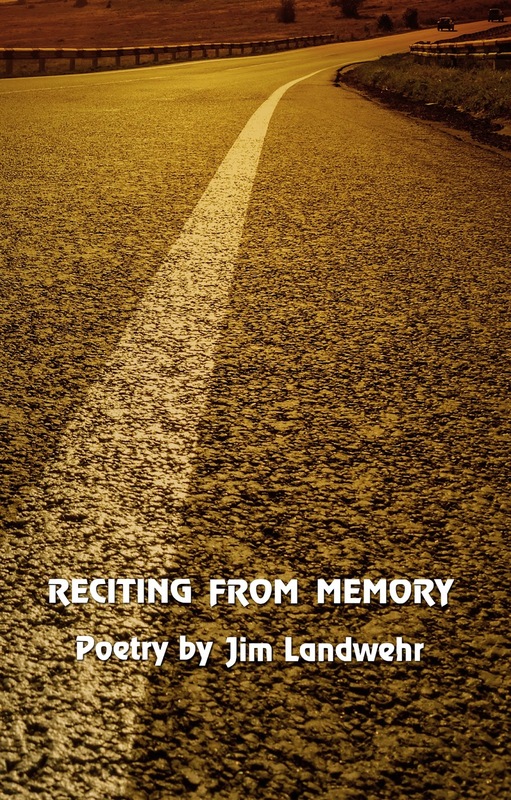 And so, I now have my third book in three years, (albeit an eBook/chapbook). I can't say how happy I am with where my writing road has taken me. I am in the midst of promotion, which can be arduous at times, but I am getting pretty used to it and realize it's all part of it. Here are a couple of poems from the book. I hope you like them and consider ordering the eBook from either Amazon or Barnes and Noble online. The book is a bargain at only $3.99 and if you want it autographed, there is an app called Authorgraph that this book can be found on that allows a sort of eSignature/personalizing. I'd like to officially thank the staff at Underground Voices for giving me this great book to add to my portfolio. They were great to work with, start to finish! And finally, if you like the book, I'd love to get a review from you on Amazon or Goodreads. when I was only five – with a small f.
or maybe we took turns; could be. It was reckless, frightening joy – whoever. or maybe to bring him his lunch. just he and I – acting all grown up. my sister got a checkered bag, I think. as I play with my toy car nearby. then reaches behind to surprise us. these home movies in my head. A Slightly Shorter Day Than The Longest Day.